Established in 1962, (we celebrated our 50th anniversary in 2012!) 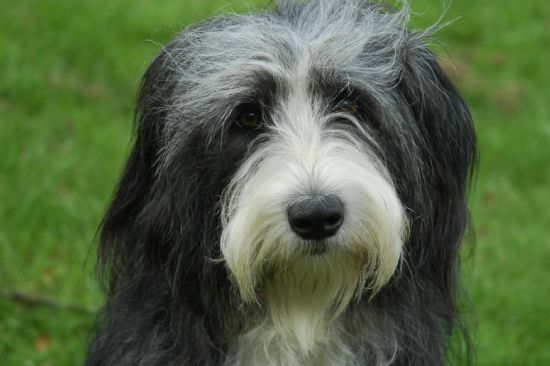 the Brambledale Beardies have continued in an unbroken line to the present day. 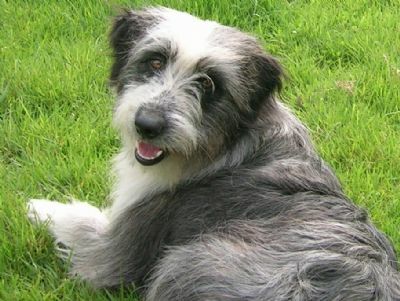 The purpose of the website is to tell the Brambledale story through six decades by tracing the line of descent from my first Beardies to their descendants who still share my life today. 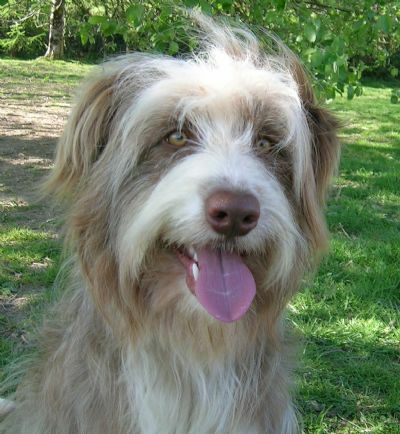 It is also the story of my determination to preserve the type of Beardie I have always loved - and my eventual decision to break free from the Kennel Club and use Working Beardie sires to maintain true Beardie character, temperament and type. 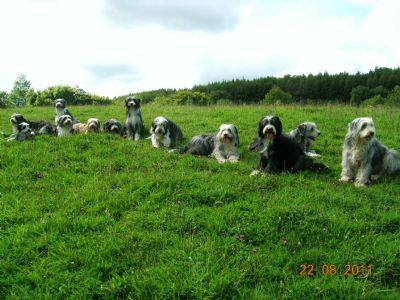 Lynne Sharpe Below: My twelve resident Brambledales - all working bred - at home in August 2011. Scroll down for close-ups of some of them. ......... and Blodyn's resident daughters, B. Brown Mouse and B Blossom, by Glen. 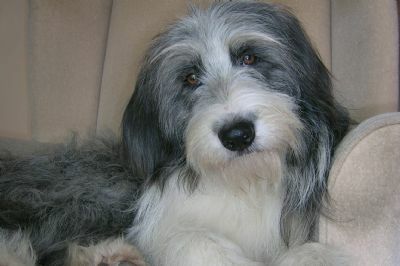 Born 23.4.2010 and pictured on their first birthday.